I know. Another cover art post today. 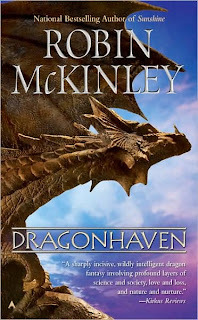 But I couldn't not feature these awesome new covers for the mass market reissues of Sunshine and Dragonhaven. These two are due out this fall. Seriously. 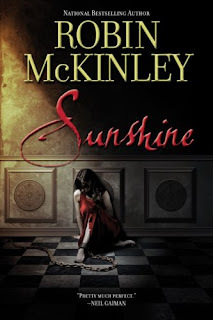 The Sunshine cover is too delicious for words. I love that scene! Oh I love this Sunshine cover! It's definitely a very powerful scene (although I wasn't crazy about the second half of the book). Beautiful! It is gorgeous. And just another case of me ending up with multiple copies of the same book on my shelf. DH will shake his head and I'll say, "But, look. Look how pretty!" WOW! I will JUST have to get them! I know. That copy of Sunshine will be mine.